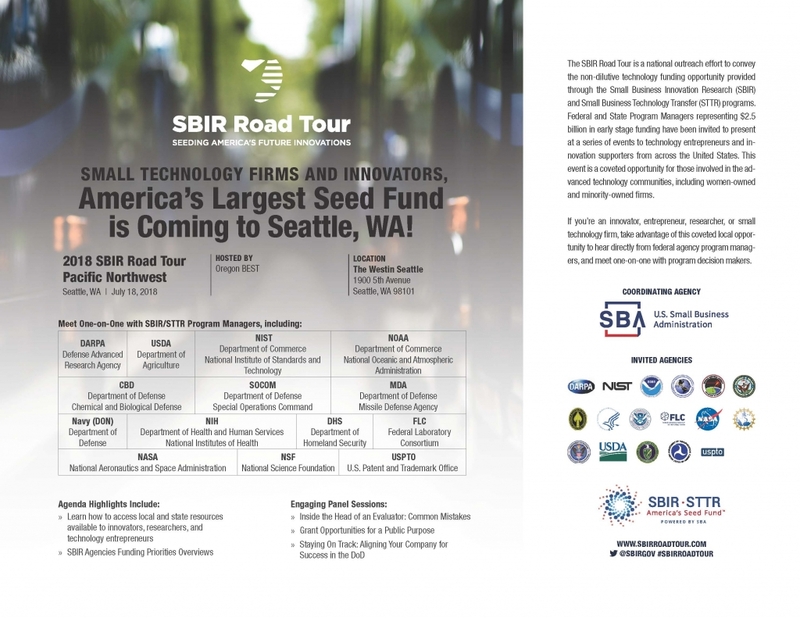 The SBIR Road Tour is a national outreach effort to convey the non-dilutive technology funding opportunity provided through the Small Business Innovation Research (SBIR) and Small Business Technology Transfer (STTR) programs. Federal and State Program Managers representing the $2.5 billion in early stage funding have been invited to attend a series of events alongside technology entrepreneurs and innovation supporters from across the United States. * Success stories & tips!